What do you expect to be happening within the next few years with our understanding of crested gecko morphs and genetics? Tom Favazza: The degree of understanding will depend on the fortitude of hobbyists. People coming in and out of the hobby will be of little or no help. Those of us who work long term on such endeavors must observe and test over many generations to isolate and reproduce controlable (to a good degree) traits. I see more breeders becoming more proficient at reproducing and enhancing specific traits within their collections. There should be more potential (as experience grows) to identify mutations and enhance traits over the next few years. 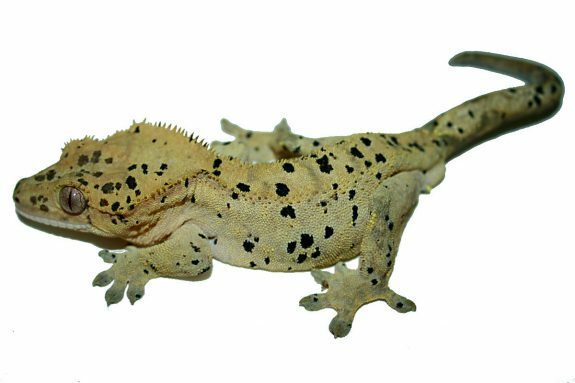 Wally Kern: I might be called a Doubting Thomas on this subject but in my opinion, it will take more than just a few years to determine specifics about crested gecko genetics. The hobby has proven that we can reproduce color/patterns/structure/etc. by ‘line’ breeding our cresteds. Mr. Ron Tremper proved this out years ago with leopard geckos. Of course crested geckos are completely different animals but they do have some similarities with other geckos when considering breeding 2 similar trait geckos and developing better looking/quality animals. What we don’t know for sure is how far down the line we can line breed. I do hope we can see larger breeders/companies in the hobby/industry take it upon themselves to put together scientific tests to prove out some of our theories. Mike Soltis: Crested Gecko morphs are hopefully about to explode! 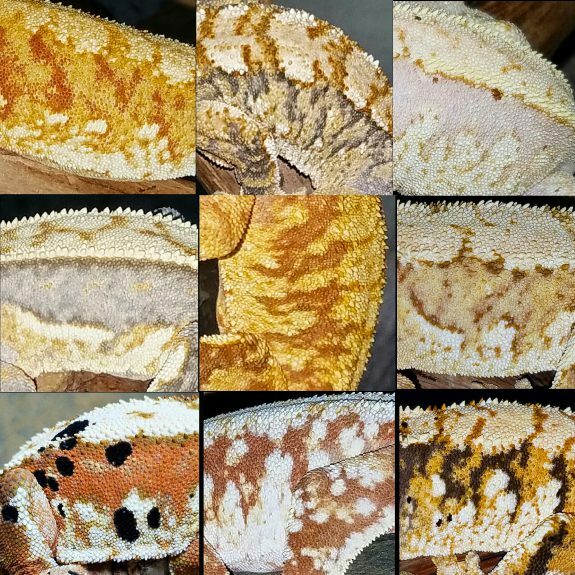 One of the things that drew me to them so many years ago was the continuing evolution of various colors and patterns (early on in the hobby, we didn’t have some of the morphs that today are relatively common such as Pinstripes and Super Dalmatians). I don’t think it’ll be long before someone unlocks some recessive genes and we are seeing something unique. Just last year we saw Xanthism proven out and it is my hope that more great things are on the horizon for these wonderful creatures. 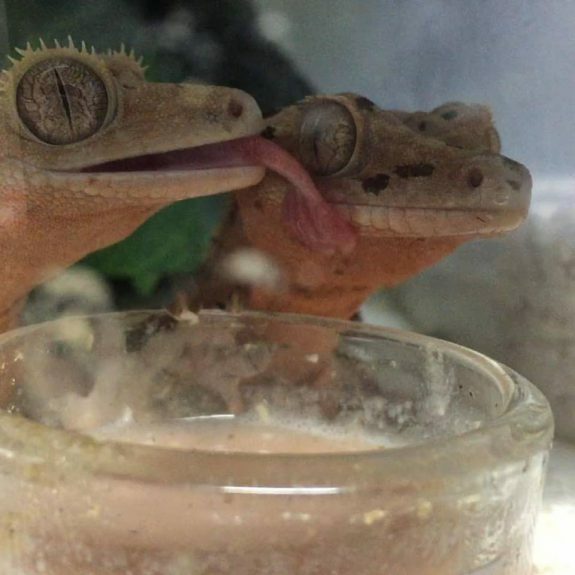 What is your opinion about and experience with housing crested gecko pairs together for extended periods of time? Tom Favazza: I find that experience lends itself to greater success when keeping pairs or groups together. I see no problem with keeping pairs together as long as they are cycled properly. Raising geckos in groups as hatchlings and beyond, in my opinion, allows them to develop social tolerance. This appears to reduce stress when kept in groups. You have to consider their reaction to movement. 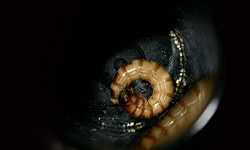 Feeding crickets from the hatchling stage helps them make some delineation between their cage mates and prey. Since they are housed together the feed response is amplified as a natural reaction to competition. This creates a bit of a frenzy and they regularly mouth one another. The drive to catch prey distracts them when being mouthed and they seem to build a better tolerance for those types of interactions. If this is done from the start there is no significant chance for injury because tooth size and jaw pressure are minimal. Many keepers experience tail loss when keeping groups of young animals together, but I have virtually no tail loss. The traditional norms for keeping crested geckos are great for general safety for the animals being kept by the general public. The majority of keepers fall into that category. Considering brain functions and observing cause and effect relationships of the environment/experiences we create is most important to going beyond the norm. I do not recommend it to 99% of keepers, but I have had success keeping over 10 males together into adulthood with no tail loss or major issues. Lifelong conditioning and observation played a critical role in this success. Wally Kern: Not being a ‘big time’ breeder but housing more cresties than the average keeper, I have the fortune to try several different options in my husbandry in an effort to learn/share more about these wonderful animals. From glass tanks to screens- etc. In our facility, we run the gamut on ways to keep crested gecko breeders- from separate to together, in pairs, in groups up to 1.4, mixing males, and long term pair bonding. In my opinion, a couple of factors can decrease breeding productivity with crested geckos (not that getting the most is at all best). Those factors are the number of females kept with a male and long term pair cohabitation. With more than even a couple of females in my enclosures, I find there is a significant decrease in the number of eggs we see per female. Also, and this is not a scientific conclusion but my opinion, when keeping males with females for over 3-4 years, I find egg production decreases. When moving a male to a new female, it seems that production increases. This would be another wonderful test case a larger gecko or reptile company could execute (hint hint). Mike Soltis: I don’t separate my animals because they get a male cooling period. I have never separated them. I don’t subscribe to the introduce and separate method but encourage separation in climates where the animals would breed year round. In my seventeen years of breeding Crested Geckos, I have always been fortunate to be able to provide an environment where there is natural seasonality. This works because I’m in the Northeast United States where we have all four seasons! I house my geckos in my basement where they receive natural light cycles as well as experience the temperature gradients responsible for natural cooling. 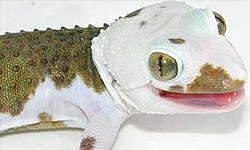 My winter temps are maintained at 68 degrees and the geckos cease breeding until the day cycle and temps increase. If you live in an area where your temps don’t drastically change with the winter season, you’ll either need to have a temp-controlled gecko room or separate your males. Keep in mind that sperm retention is a factor, so if you cannot significantly simulate a cool-down period, your females will still lay eggs regardless of the presence of a male. Give them until there’s a two to three month period where they have stopped laying in order to recharge before re-introducing males. It’s also a good idea to add a little calcium for breeding females as the season begins, even if you are offering a complete diet such as Pangea Fruit Mix. What do you feel is the best course of action for breeders to take to insure the viability of the crested gecko market for the next 10 years? Tom Favazza:I believe it will be viable with fluctuation as we have seen in the past. The sheer nature, needs and appearance of crested geckos lends itself to making them a staple in the hobby. Supply and demand are definitely at play. The market is always more stable if you have desirable (higher end) animals. Continuing to develop viable healthy lines and expanding on overall eye appeal should help keep the market going strong well past the 10 year mark. Wally Kern: While not surprising, it is refreshing to see the market reacting excitedly at some of the beautiful animals being produced today. Ten years ago, I heard “The crested gecko market is saturated with geckos for sale and is crashing”. Well, this just was not the case at all. In fact the appreciation and appetite for High End animals has really taken off. So my advice to new and short term crested gecko breeders is to Go Big! You don’t need to spend thousands of dollars on multiple breeding groups. 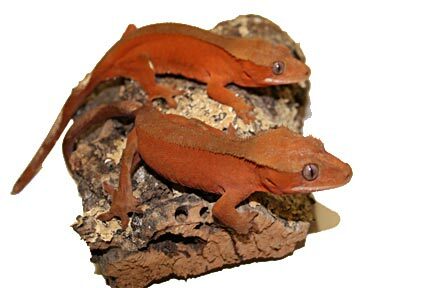 But, instead, be picky, ask questions and do your research, then select the best young pair of crested geckos you can afford. It’s not enough to produce nice harlequins or partial pinstripes. The animals in most demand are the top 1% of cresteds produced. Buy the best (within your means), find an outlet for 99% of your geckos produced, manage the health of your geckos, keep good records, and most of all make sure you are enjoying the animals you are working with. Mike Soltis: This is a tough one and my answer may not sit well with some folks. Crested Geckos are HIGHLY prolific and it isn’t hard to breed them at all. One successful mating can provide two eggs per month for 6-7 months. Anyone starting out and intending to breed should think twice and then think ten times more before doing so. The market is flooded as it is and you can be quickly overwhelmed if you don’t have an outlet to rehome the offspring. Too many people breed for the wrong reasons. You’re not going to make a fortune breeding these animals even if you’re producing high-quality, top-tier morphs. Sadly more times than not, people wind up selling offspring wholesale just to get rid of them because they have too many and those animals are in turn sold off at expos for a quick couple of bucks profit and always well below market price. There’s nothing more disenchanting than seeing animals sold for $20 when they should go for $60-$80 or more. Sure, that’s good for the bargain hunter, but it ultimately impacts the market negatively and enables the cycle of breeding irresponsibly to continue. More importantly, it is the animals suffering in the long run when they are seen only as a money-making vehicle. Breed responsibly, don’t bite off more than you can chew and understand that even seasoned breeders don’t have an easy time selling their offspring in a flooded market. The three responders above are commenting independently of each other. Despite that, it’s very interesting that they all share the same opinion about housing crested geckos that contradicts the “conventional wisdom” –don’t house your cresties together. It would be lovely to get more information about this issue from other crestie keepers. The response to the question about crested gecko genetics seems to point to the fact that little is known and there is much to find out. Most of what we hear about crested gecko breeding is about line breeding. Does dominance, recessiveness and co-dominance play a role at all in crested gecko genetics? 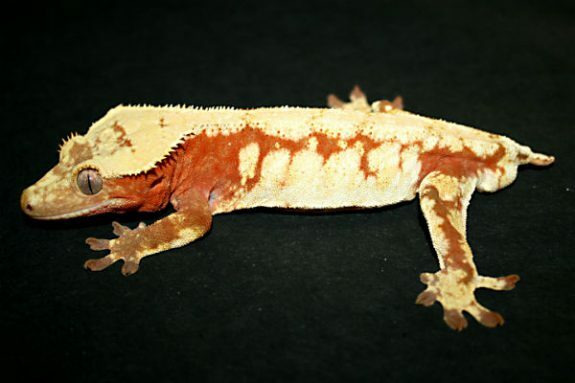 I believe there’s a lot more to say about crested gecko genetics and hope that someone will take a crack at it for Gecko Time in the near future. For over ten years, Tom Favazza, better known as “big tom” on the reptile forums, has been working with correlophus ciliatus. Within that decade, he has been taking, what he calls, a color-wheel type approach to his experimental breeding. His intent is to single out some of the allelic expressions and/or combinations, so that they may be controlled to a greater degree than what we see today. With an artistic eye and an intense dedication to observing his animals, it is no wonder that Tom has been able to contribute more than the average hobbyist. Currently, he is working with crested geckos, parthenogenic leachianus, Uroplatus phantasticus and Uroplatus henkeli. 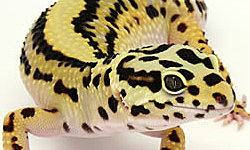 Wally Kern of Supreme Gecko says: Founding Supreme Gecko, our focus has been on quality animals and customer service. Our policy from the start has been on education- from our extensive on-line library and Blog to the time we spend with EACH customer at reptile shows to timely, detailed emails answering every question we receive. 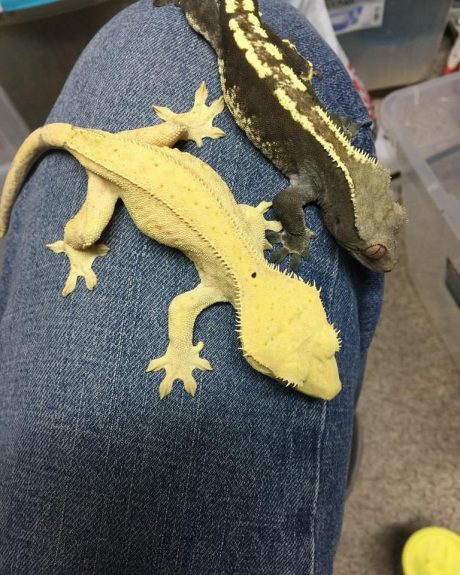 While we take pride in our reputation for producing some of the highest quality leopard geckos and crested geckos around, and some of the rarer geckos in the hobby, we enjoy the opportunity to provide the first time owner just the right pet for their needs. What I’m especially interested in investigating, in my pairs, is how much the genetics of a P1 generation effects the F2 generation. I have a female who’s a darker brown/maroon that comes from a lot of red lineage. I paired her with a red/ pink male this year and I’m really curious to see if that red background that she comes from with come out with this first clutch that I just got from her. I’m hoping this will answer some more questions about how much the deeper lineage matters with generations down the line.